One questions i get a lot about yellow.com.eg maps is what maps are you using? People see the Google map on our website so they think we are using Google maps data. This is not correct. What we are using is google maps API for the GUI. However, the data is compiled by us, what we do is geocoding our database. i.e. specifying the exact latitude and longitude for each listing we have. This sounds like a tough job, actually it is but we are performing very well in doing it. 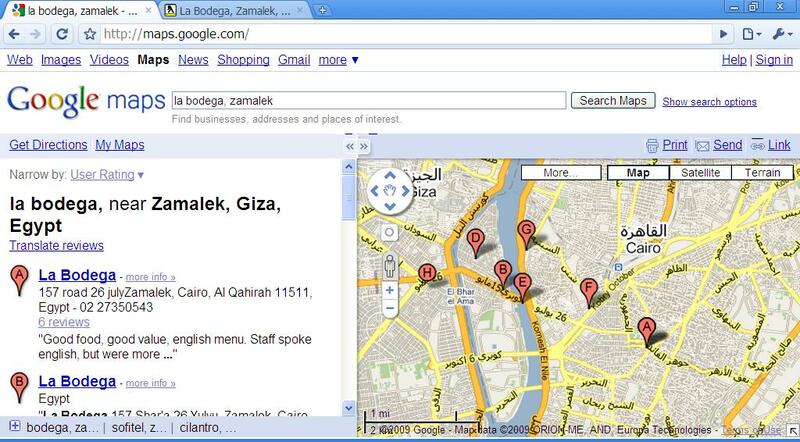 On Google maps searching for La Bodega will produce 7 or 8 results, some of them might be correct and some are not. This is because the data source is the user generated content, which is not correct in many cases. 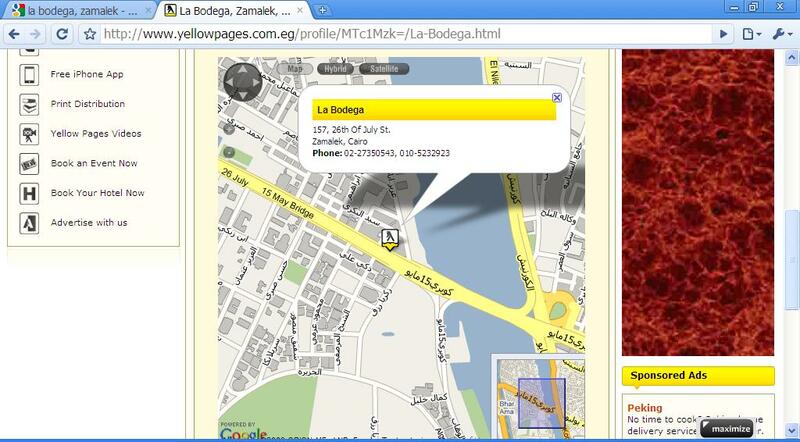 on Yellow.com.eg when you search for La Bodega, you get one and only one map location, the map location is accurate and is geocoded by our local search team. If we are not sure about a map location, then we do not enter it, if you see a map location online this means the location is accurate. The nice thing about having our geocoded database is not only the accuracy, but also the flexibility of using any maps for the GUI, we have tried both Google maps and Microsoft virtual earth (now known as Bing maps), Google maps has proven so far superior in Egypt. Telecom Egypt Phone Bills Prizes, why?